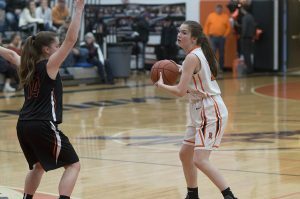 Kaeley Schultz attended a handful of Rainier High School girls basketball games last year as an eighth grader. 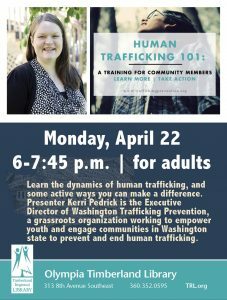 Each time she was in the stands watching, the same thought would run through her head – help is on the way. Schultz, the Mountaineers’ high-scoring freshman, was 100 percent correct, but even she had to admit the enormity of how much things had changed was beyond her imagination. From doormat to dominant – that pretty much sums up the transformation Rainier has made on the basketball court over the last 12 months. Schultz and her gifted group of freshmen have seamlessly blended in with a gritty senior class to take the Mountaineers from a dreadful 2-18 season last year to a remarkable record of 19-1 this year. “It’s just been so amazing to be a part of,” said Nina Guizzetti, one of four seniors on the team. Guizzetti, along with fellow seniors Alexis Diamond, Elaina Hansen, and Sandra Miles, was a member of last year’s two-win squad. 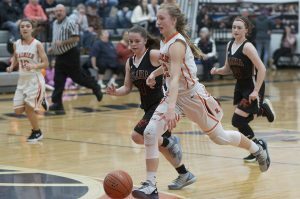 The Mountaineers limped to a 1-15 record in the always tough Central 2B League, failing to surpass the 20-point mark in seven games. Under first-year coach Brandon Eygabroad, Rainier has completely flipped their league record this season, finishing in second place with a 15-1 record. The Mountaineers will take a 12-game winning streak into the 2B Southwest District 4 tournament. Rainier will open postseason play at home on February 9 against a yet-to-be-determined opponent. 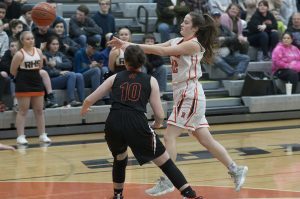 Whoever that ends up being will have to contend with a team that has won its last four games by an average of 23.5 points a game and hasn’t lost since December 15 when league champion Wahkiakum handed the Mountaineers its only setback on the season. 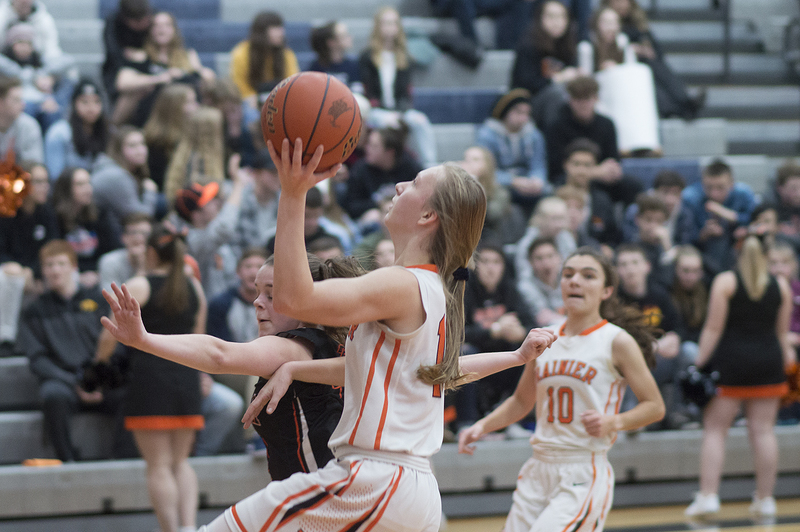 In addition to Schultz, Rainier’s roster also features four other ninth graders in Faith Boesch, Isabella Holmes, Brie Klein, and Selena Niemi. Each has contributed greatly to the Mountaineers’ success this year. While summer gave the team a hint of how good they could be, it was the second game of the regular season that really proved to Eygabroad that he had something special on his hands. Rainier was playing 1A Tenino in a non-league game. The Beavers, which defeated the Mountaineers 43-27 and 54-13 the previous season, were leading at the intermission. Last year, Rainier failed to score more than 30 points 14 times out of the 20 games it played. 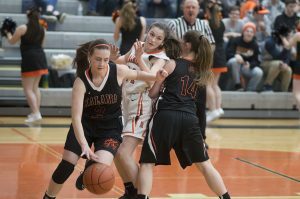 Schultz is a threat to hit that mark every time she steps out onto the court. The versatile 5-foot-10 forward scored a career-high 36 points, including 12 in overtime, during the Mountaineers’ 58-54 win over third-place Toledo. It is one of several games the freshman has scored 25 or more points in this season. Schultz appears destined to rewrite all the school records before she departs, but she is hardly concerning herself with that. Instead, she is far more focused on getting the team back to the state tournament for the first time since 2012.